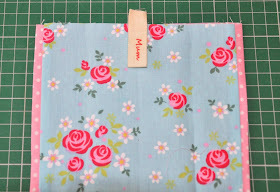 Its nearly Mothers Day so I thought I would share a couple of quick and easy tutorials over the next few days for fabric gifts to make for mums and grandmas. 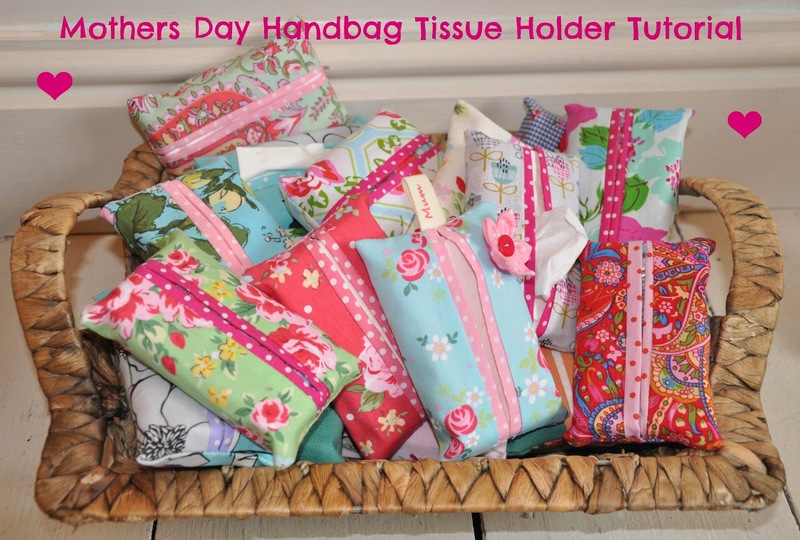 Today is a tutorial for a handbag size tissue holder. 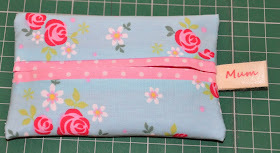 This is a project that doesn't take much time and is perfect for novice sewers. 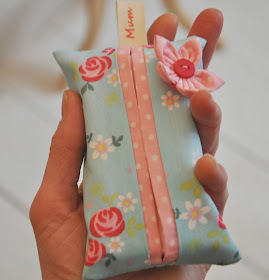 There are lots of tutorials around for these gorgeous handbag size tissue holders but I thought I would share the one that I have found works best for me with a couple of additions to make it extra special! 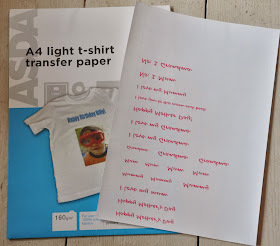 T shirt transfer paper (available in Asda and WHS stores). 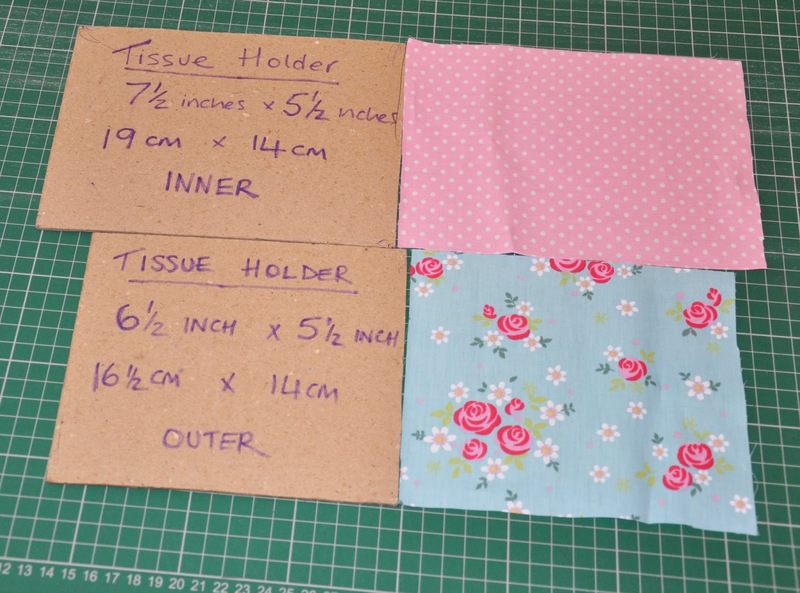 Download and print out the pattern templates and cut the outside piece from your main fabric and the lining piece from your co-ordinating fabric. 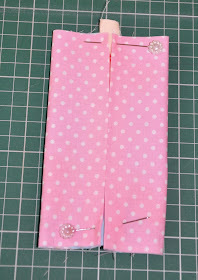 Place the 2 fabric pieces together pattern sides facing and sew down each short side using a 1/4 inch seam allowance. 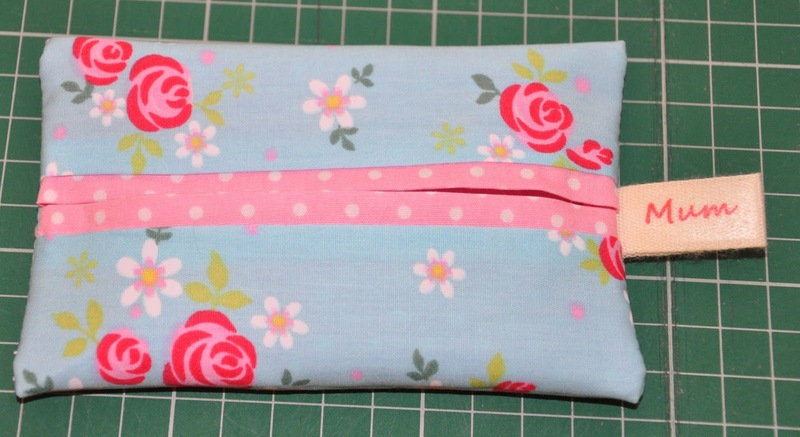 Don't worry about one side being longer than the other and there being loose fabric on one side. That's how its supposed to look! 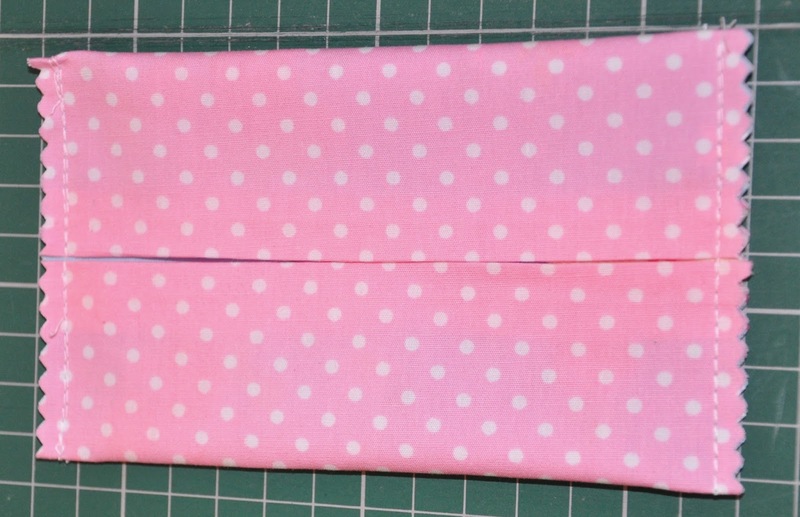 Turn inside out so the fabrics are now facing the right way up and press flat so that a little bit of the lining is shown either side of the main fabric. 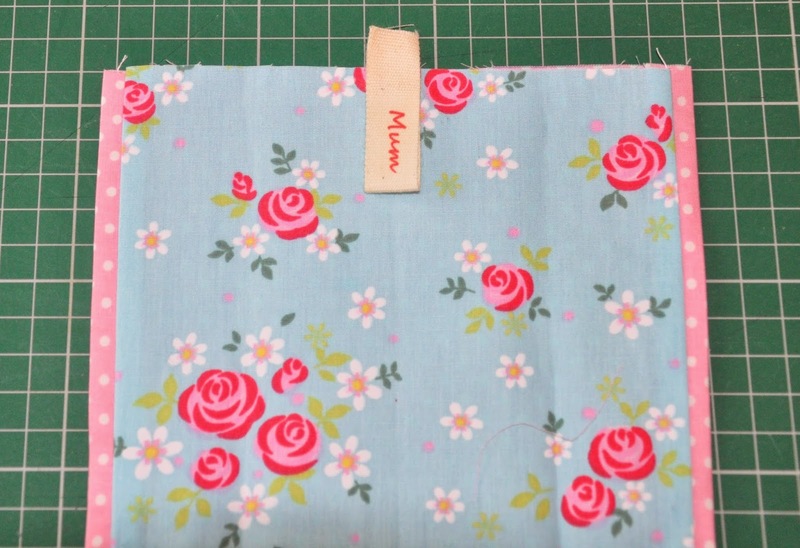 If you want to add a personalised name label you need to make it now. Type out what you want your label to say in a pretty font e.g. Mum or Grandma. 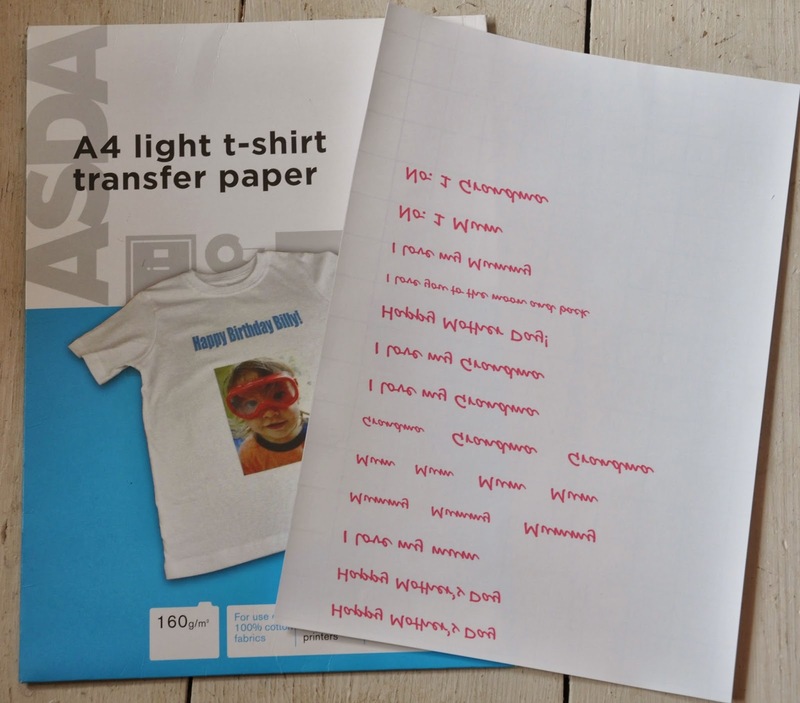 Flip the text before you print it so it is back to front (mirror image) and then print out onto the transfer paper. 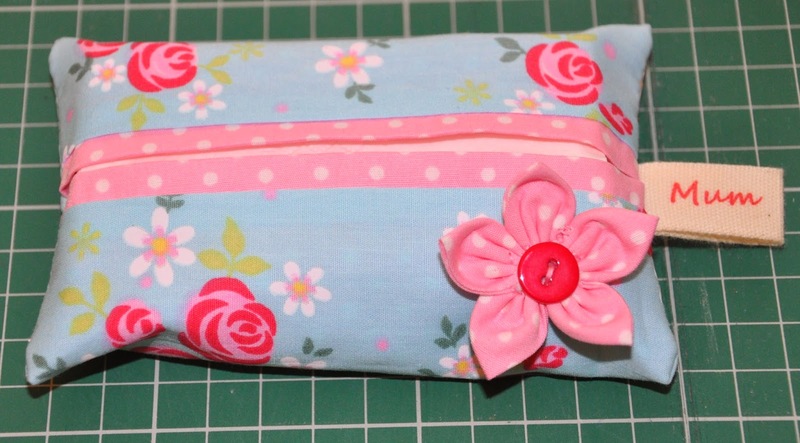 I do several versions and sizes to make sure I have spares. 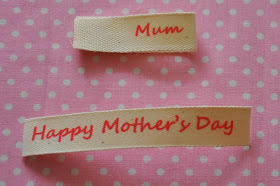 Cut out the name to the size of the tape and place face down on your plain tape. 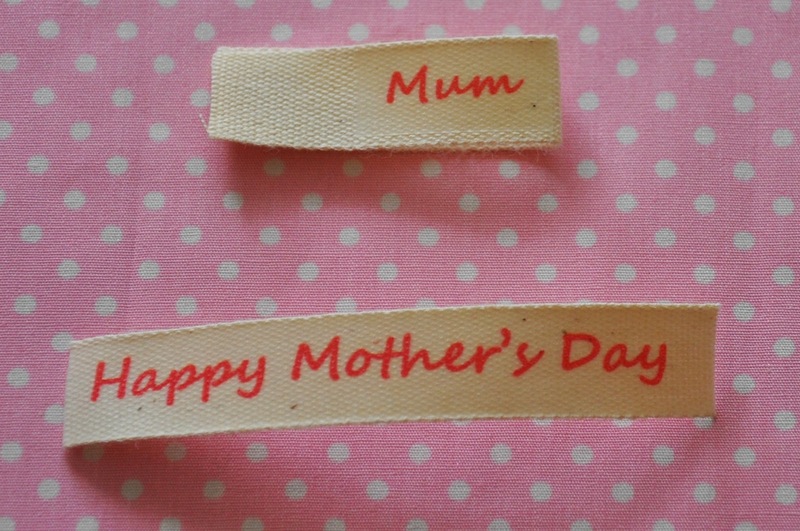 You should be able to see the words through the backing paper so make sure they are facing the right way. 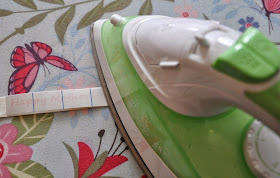 Iron on using the instructions in your pack. 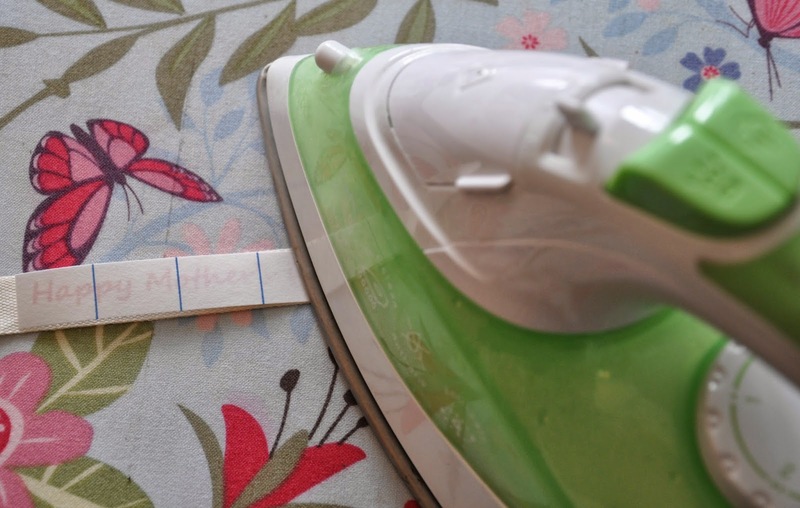 You usually just hold the iron over the tape for several minutes. 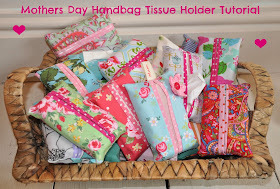 Back to the Tissue Holder! 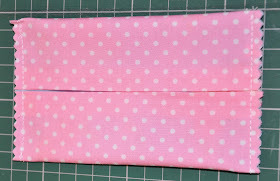 With the main fabric facing you and the spotty fabric on either side, find the middle point and place the name label as below. Don't forget to take into account your seam allowance. You don't want the name too near the top. 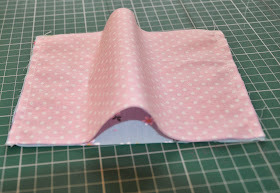 Fold both edges over to meet in the middle and pin. 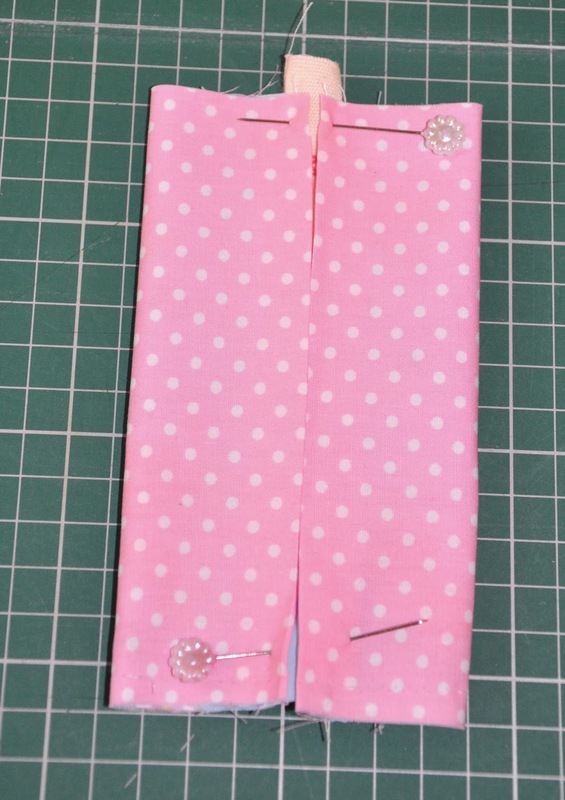 Sew up and down the 2 short sides. I usually stitch twice to make sure it is extra strong. 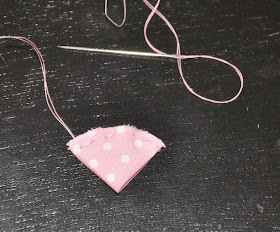 Use pinking sheers to trim the edges. 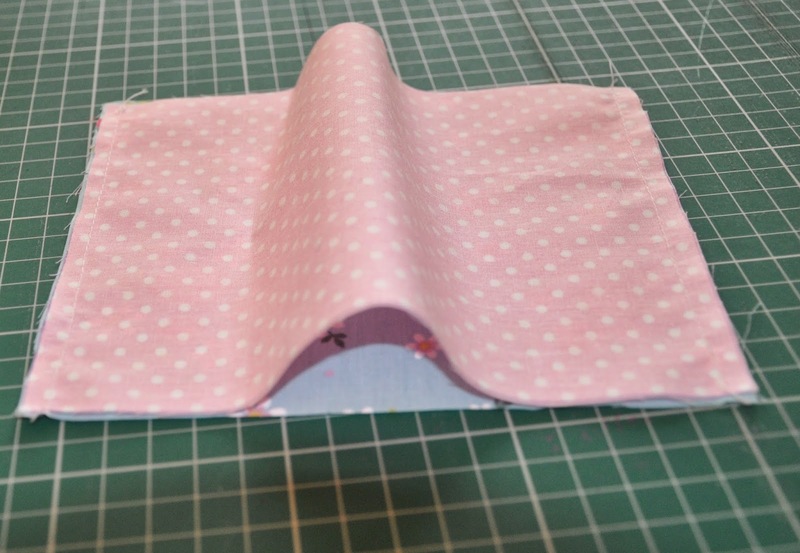 Turn inside out and poke out the corners. You should have a cute little label at one end. 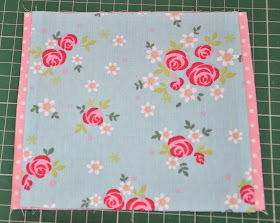 You can also add a pretty little flower using the co-ordinating fabric to make it extra special. Find a circle to draw around. 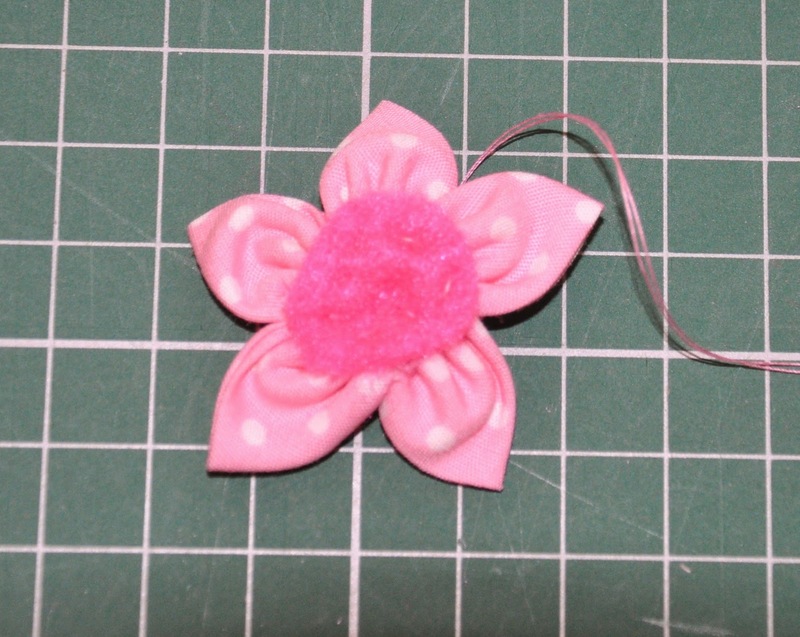 The finished flower will come out about the same size as the circle you start with. I would suggest a cotton reel for this particular project. Cut out 5 circles of your chosen fabric. I chose my lining fabric. 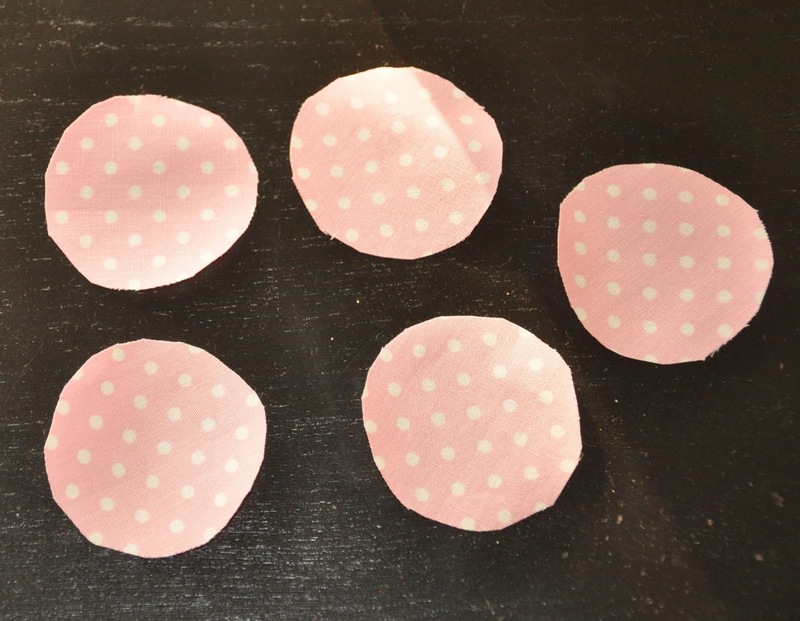 Press each one in half and then in half again so they are quarter circles. Press flat. 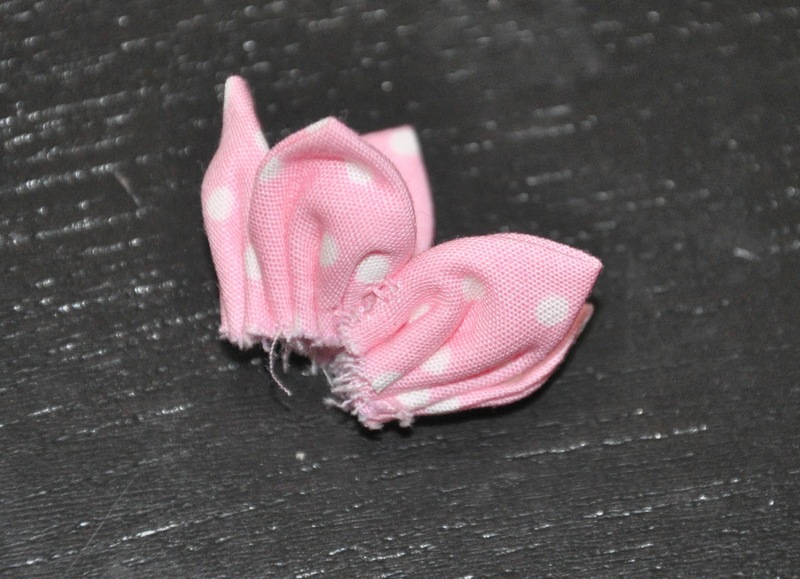 When you get to the end pull tightly until the fabric gathers in and a petal shape starts to form. Continue with the next petal using the same length of thread. As you reach the end of each new petal, pull the thread and gather the petal. 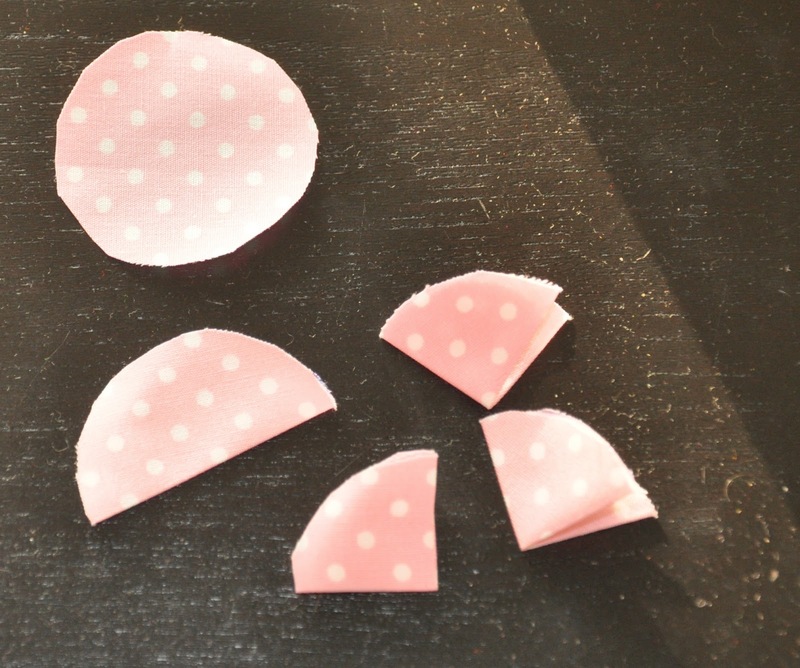 Ensure the petals are all next to each other as tightly as you can get them. 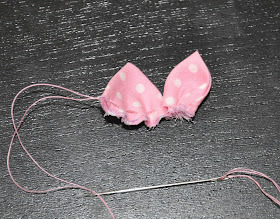 When you have finished petal number 5 sew a little knot at the end to keep the gathers in places but don’t cut your thread. 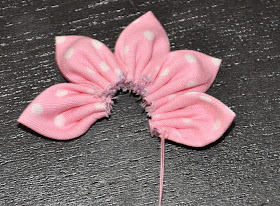 Place the two end petals facing together and sew a few stitches near the middle of the flower to attach the two ends together. Flatten down. You should have a little pretty flower shape! You need to make a back for the flower. I use a little circle of felt. 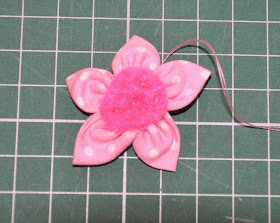 Sew all around the inside edge of the flower attaching it to the felt using tiny little stitches. If you do this in a co-ordinating thread it will not really show on the front of the flower. It will be covered by a button anyway! 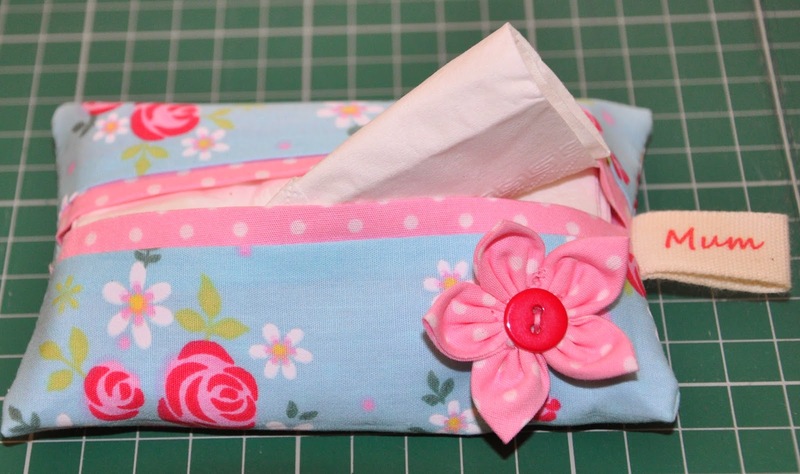 You can attach your button to your flower at the same time as sewing it on to the tissue holder. This is a bit fiddly. 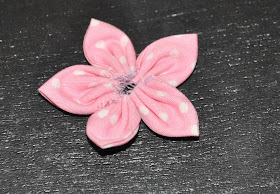 I tend to sew the button to the flower a few times first and then sew on to an item. You can use these flowers to decorate lots of different things. Tissue holders are very addictive to make and are perfect for little gifts. 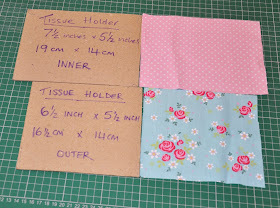 Great for using up scraps of fabric too. I got a bit carried away as you can see below! I would love to know if you make something from any of the tutorials. Please send me photos if you do. We love to see them. Please feel free to pin the image below and share on Pinterest. We have just made a You Tube video tutorial for the tissue holder. Please sign up to the Sew Scrumptious You Tube channel for lots of great sewing tutorials and handy hints.